In the multitude of misused Hollywood women, Phyllis Gates, who has died aged 80, must rank among the saddest. She never made a film, or even auditioned for one. But she married Rock Hudson, one of the movie industry's biggest stars. Unknown to Gates, their union, in 1955, was fixed. She always said the marriage was for love but - like most of the world - she did not know the truth about her husband: that he was gay and risked possible exposure in a scandal magazine. Phyllis Lucille Gates was born in Dawson, Minnesota on December 7, 1925 and was raised on a farm. After working as a secretary for New York City theatrical agent Maynard Morris, Phyllis decided to relocate to Los Angeles In Tinseltown, she became the secretary for influential Hollywood talent agent Henry Wilson. Wilson was the agent for some of Hollywood's greatest stars and had played an integral role in elevating the careers of Lana Turner and Natalie.Wood. However, there was much more to Henry Wilson. He was largely responsible for the "beefcake" craze of the 1950s and presided over a stable of attractive male clients with stage names such as Tab Hunter, Rory Calhoun, Troy Donahue and Guy Madison. Wilson was homosexual and many, but not all, of his clients were also gay or bisexual. They were expected to keep this aspect of their life hidden from the public. 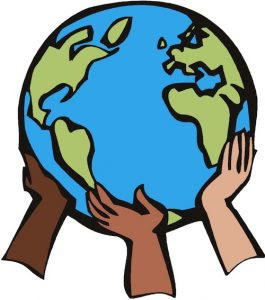 One of Wilson's most prominent clients was a Chicago-born truck driver named Roy Fitzgerald. Wilson changed the truck driver's name to Rock Hudson and transformed him into a Hollywood leading man. After his first leading role in 1954's Magnificent Obsession, Rock Hudson's popularity began to soar. However, he was hiding a secret that would most certainly have put an end to his career back then. Unknown to his film-going fans, Hudson was gay. Confidential magazine, a widely-read scandal tabloid, had threatened to expose his covert homosexual life at a time when such a revelation would have ruined the Hollywood heartthrob's success (By 1955, Confidential had a circulation of five million copies per issue). According to Robert Hofler, author of The Man Who Invented Rock Hudson: The Pretty Boys and Dirty Deeds of Henry Wilson, Wilson managed to stave off the tabloid by disclosing information about Rory Calhoun's years in prison and Tab Hunter's arrest at a gay party in 1950. It wasn't long after the Confidential incident that the talent agent began promoting a romance between Phyllis Gates and Rock Hudson. Wilson invited the pair to join him for drinks and dinner and with her boss's encouragement, Phyllis eventually found herself dating the handsome film star. She lived with Rock for a while and then he suddenly proposed marriage to her in Wilson's office. His proposal was immediately accepted. 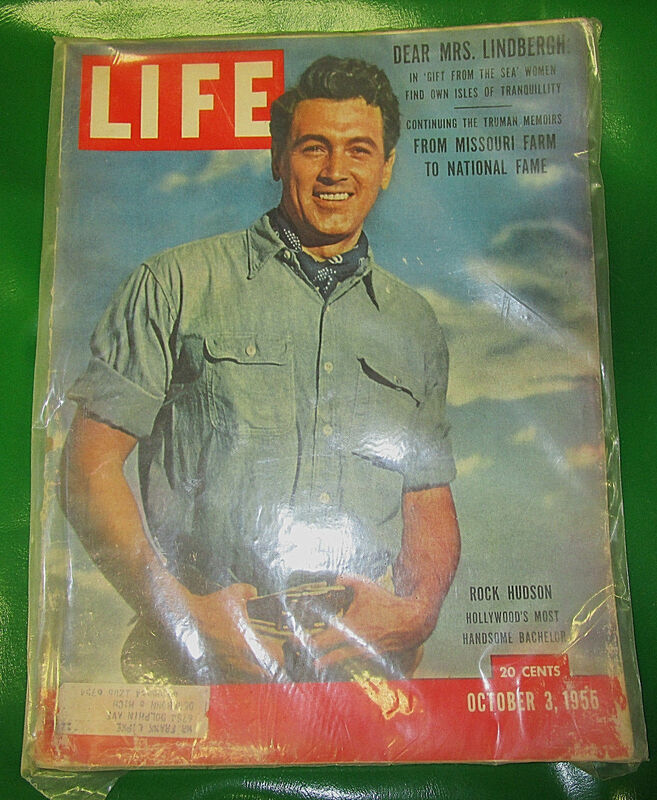 In October, 1955, Life magazine published a cover story about Rock Hudson entitled "Hollywood's most eligible bachelor." The article proclaimed that "Fans are urging 29-year-old Hudson to get married - or explain why.not." With so much pressure on Rock to tie the knot, Henry Wilson soon organized a private wedding for him and Phyllis, Wilson, of course, took care of all the arrangements. 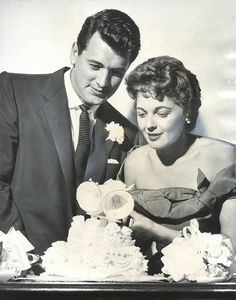 On November 9, 1955, Phyllis and Rock were married in a private ceremony in Santa Barbara, California. Only a few friends and Henry Wilson were in attendance. At Phyllis' behest, a Lutheran minister was called in at the last minute to perform the ceremony. Immediately after the ceremony, Wilson called Hollywood gossip columnists Hedda Hopper and Louella Parsons. The nuptials occurred soon after the Hudson had finished filming Giant with Elizabeth Taylor and James Dean. Giant, George Stevens' sweeping epic about wealthy Texas cattle rancher Jordan "Bick" Benedict Jr. (Hudson), was released in 1956. It was a smash hit at the box office and received ten Academy Award nominations, Hudson and co-star James Dean were both nominated in the category of Best Actor Actor in a Leading Role. The newlyweds had a brief honeymoon in Jamaica, after which their marriage began to deteriorate. Phyllis claimed in her biography that the breakup occurred due to Hudson's moodiness, sudden depression and childish tantrums. She also claimed that he struck her when she referred to a friend of his as a "fruitcake." In addition, she blamed Henry Wilson's scheming for the failure of her marriage. In April of 1958, Phyllis filed for divorced, citing mental cruelty. Hudson did not contest the divorce and Phyllis received $250 a week in alimony for a decade. She never remarried, but remained in Los Angeles and became a successful interior designer. After the 1960s, Rock Hudson's popularity on the big screen declined. However, he did find success on television. He starred in a number of TV movies and in the hit detective series McMillan & Wife (1971-1977), alongside Susan Saint James. 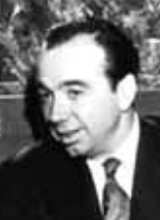 He also starred in the short-lived drama series The Devlin Connection, which aired in 1982. From December 1985 until April 1985, Hudson played the role of Daniel Reece, a wealthy horse breeder, on the hit prime time soap opera Dynasty. Television viewers were shocked at his frail and gaunt appearance. It was evident that he was very ill. 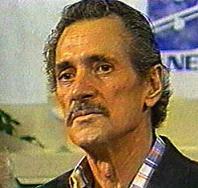 The nature of his illness, however, stunned his fans at a time when AIDS was first coming into public consciousness. Only Hudson's business manager and a few of his closest friends and companions, including Doris Day and Elizabeth Taylor, knew of his diagnosis. 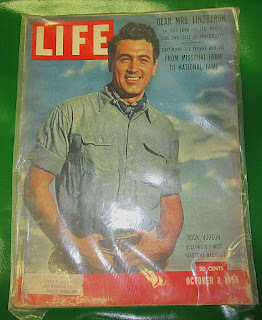 On October 2, 1985, Rock Hudson died of AIDS-related complications.at his home in Beverly Hills, California. He was 59 years of age at the time of his passing. Hudson was the first internationally known star to fall victim of a disease that people knew little about at the time. In 1986, after,Hudson's death, Phyllis published a memoir entitled My Husband, Rock Hudson. In her autobiography, she asserted that the was in love with Hudson when they married, and that she was unaware of his homosexuality. She also denied any involvement in his deception. PHYLLIS: Rock walked in and he said, "Is Henry here?" And I looked up and up and up and I said, "Yes. Rock, he is." ]"Okay, I'm gonna go in and see him," he said. "Okay," I said. He walked through the door. I was in love!" LARRY KING: But you had an immediate attraction. LARRY KING: Yeah, who? You're not kidding. PHYLLIS: You bet I did! On Larry King's show, Phyllis revealed that Rock Husdon's nickname for her was "Bunting." When King asked her when things started to go wrong in her marriage, she said the problem was Hudson's disinterest. He would leave home in the middle of the night with friends and he spent months in Europe without her. Phyllis told King that Rock wanted children and that he gifted her with a great deal of jewellery. She also told King that she had no inkling of Rock Hudson being gay until after their divorce. After their divorce, friends told Gates about his homosexuality. According to Phyllis, Hudson never contacted her after their union was dissolved. At the time of the Larry King interview, Phyllis had been diagnosed with cancer but felt good and thought she had beaten the disease. On January 4, 2006, however, Phyllis Gates succumbed to lung cancer at her home in Marina del Rey, California. She was 80 years old at the time of her passing. * Henry Wilson passed away on November 2, 1978 at the age of 67. After he was "outed," many of his clients, both gay and straight had abandoned him for fear of being labelled homosexual. Wilson died of cirrhosis of the liver after struggling with alcoholism and paranoia. He lived his final days at the Motion Picture & Television Country House and Hospital and was so destitute that there was not enough money to pay for the cost of his gravestone. 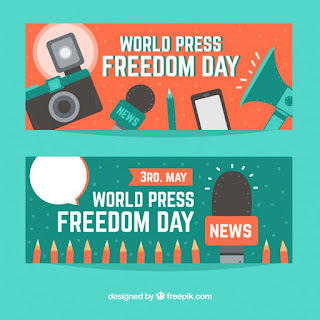 Sources: My Husband, Rock Hudson, by Phyllis Gates; Larry King Live 2003 interview with Phyllis Gates; The Man Who Invented Rock Hudson: The Pretty Boys and Dirty Deeds of Henry Wilson, by Robert Hofler; various newspaper articles and Phyllis Gates' obituaries.